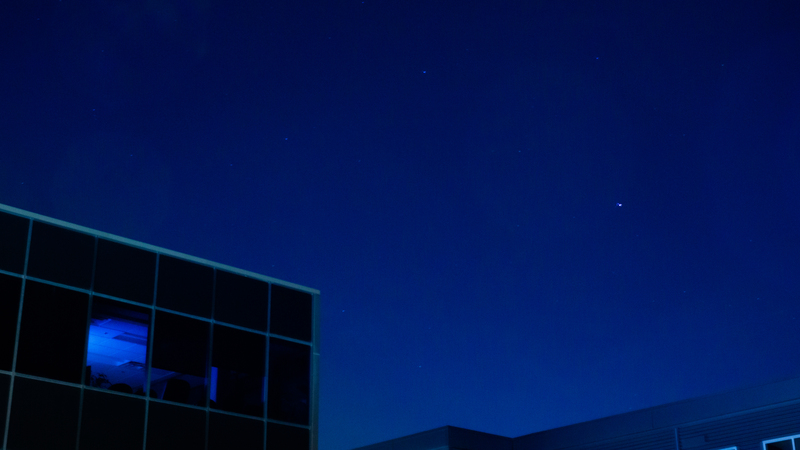 One of my favorite aspects of night photography is finding curiosity and interesting subject matter in the mundane. Nighttime can accentuate architecture, bring different colors to the surface, and most importantly give a greater sense of how light affects an entire scene. Windows arise frequently throughout my photography, sometimes as the centerpiece, and sometimes as a vehicle of another cause. 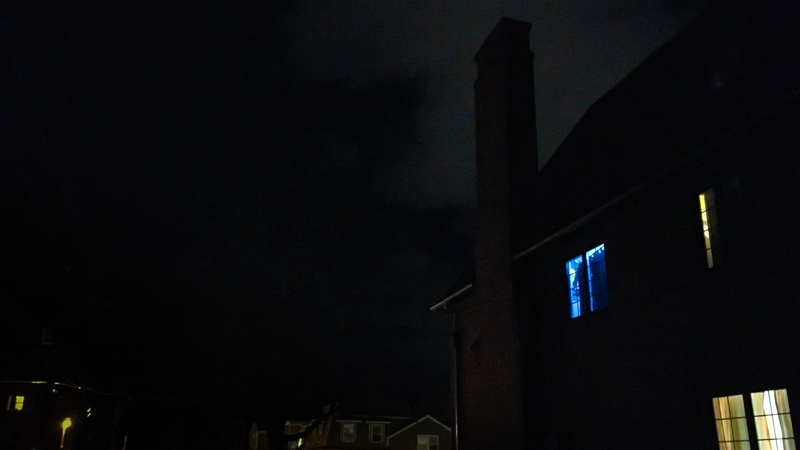 During very dark nights, sometimes a window is all the light you can find. 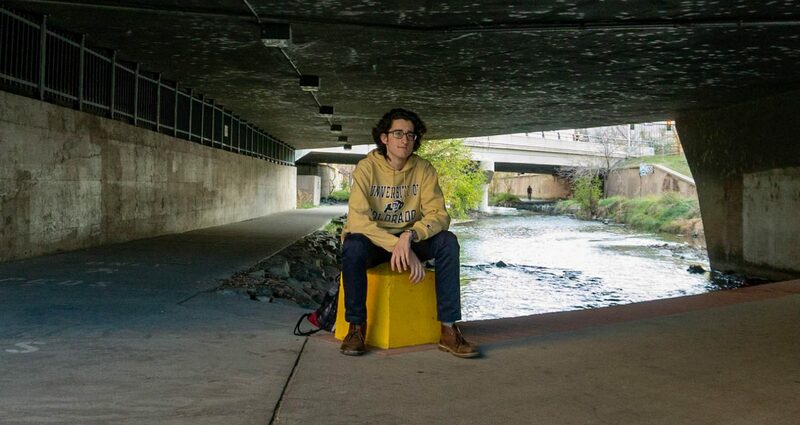 Colored LED lights are popular amongst the college population here in Boulder, and these pops of color provide a unique subject matter amongst the monotone darkness. Various colors can also lead to different interpretations of what the window represents. 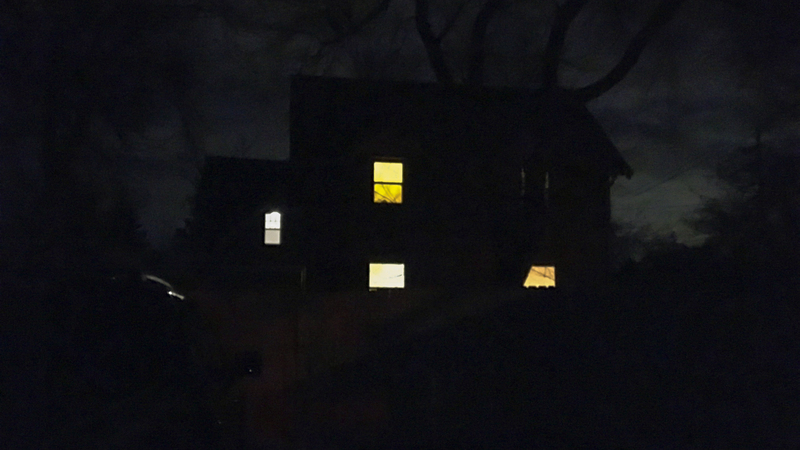 Some view this photo and imagine a horror vibe, a spooky aspect. Something scary lies beyond what we can see and the red color is the manifestation of this appeal. A blue-green light is more relaxed, we may think of a group of friends hanging in the room of this window. Not always though, blue can be sad, as we see in the second photo. Enhanced by the sky, this blue window gives us a view into a depressing cycle of office life, abandoned after the sun falls. White is less interesting, it doesn’t convey a standout meaning, instead, it is just light against dark. The high contrast of this photo and the noticeable silhouettes still create a sense of doom. Inconsistent placement and size of the windows create an unstable feeling, as most asymmetry can. Often windows help exaggerate the primary goals of a photo. Although the window is a core subject in the following photo, the standout feature is the shift of color from left to right. 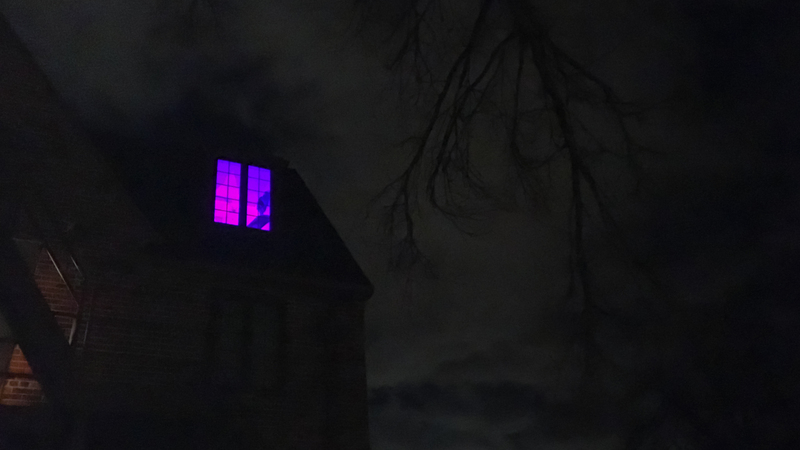 A unique shape in the window adds to the curious vibe and helps to contrast the duller purple, blue, and green on the right side of the photo. Photos give us a view into a different world, and also provide excellent framing. 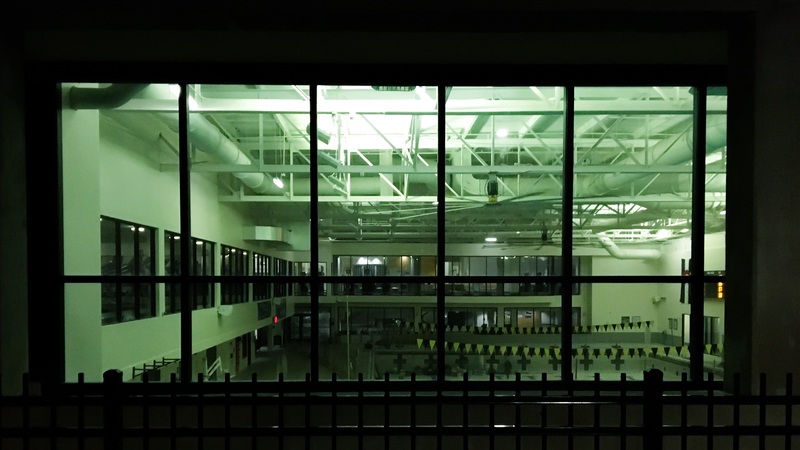 The green glow of this pool facility is ominous, but only because of the lack of people. We know it’s nighttime because of the background, giving this photo more context as opposed to just the pool itself. The bars across the window make us feel like an outsider, are we invited to the subject matter? Windows can provide reflections, framing the subject matter in a complex system. 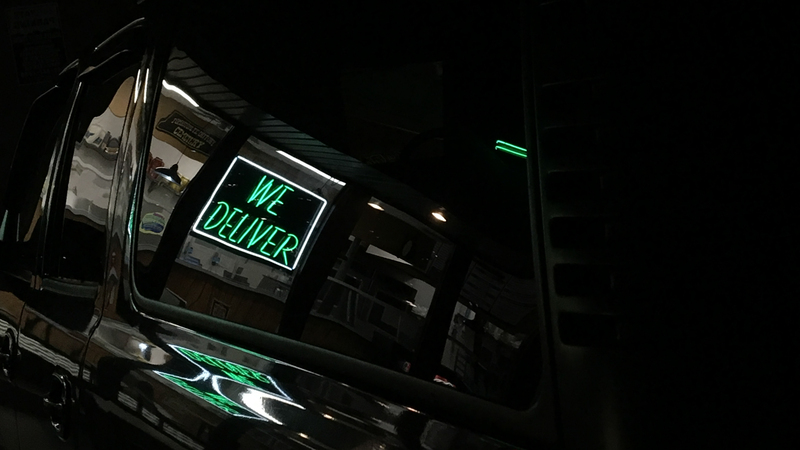 Seeing the normal neon sign is boring, but through this reflection, we are forced to focus on it’s more distinct details. The white border, some of the interior of the sandwich shop, the lack of crossbars on the letter I. Curves on the window and the side panel of this car lend distortion to the complexity of the photo. 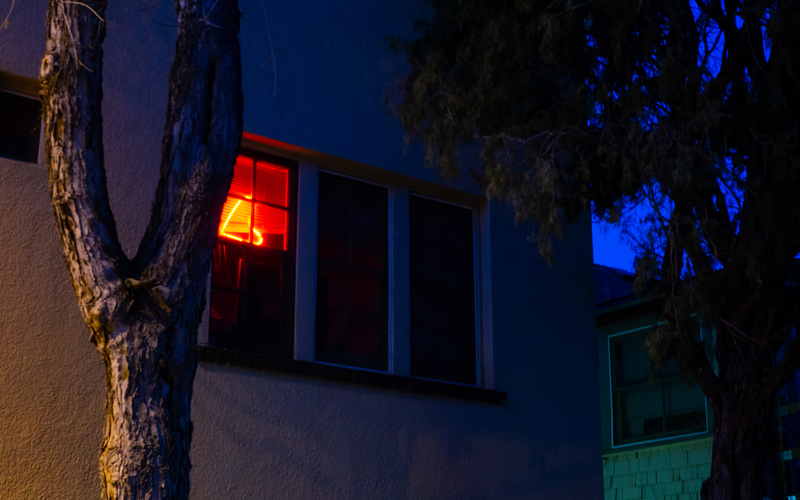 In general, windows can provide a new perspective to your night photography. They provide interesting sources of light, and viewpoints into other worlds. Natural framing, and distortion in the form of reflections. What comes to your mind when you think about the concept of a window? What is a window to a prisoner in a jail cell, or to an executive on top of a skyscraper? Perhaps, they just let the light in and keep the bugs out.